In the 1860s there was no legal requirement for children to attend school, but from 1870 education legislation began to change this. Grants to maintain schools were available under the legislation. Schools were also inspected and decisions could be made on the results of the inspection. Many children from poor areas could not afford to attend school as fees had to be paid. Father Benson was keen to establish church schools in the developing east Oxford area and initially the Society of St John the Evangelist provided a large amount of financial assistance. By 1867 there were already two schools in the area known as the 'middle class schools.' 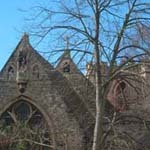 St John's Middle Class Boys' School was in Iffley Road. Walter Smith was the head teacher. There were 60 scholars and the fees for residents of Cowley were 10/6d per quarter and for non- residents �1 per quarter. St John's Middle Class Girls' School was in Marston Street where Miss Seaton was in charge of 43 scholars. Some children were boarders. 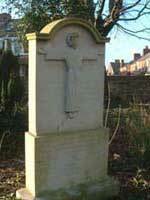 These schools, particularly the Boys' School, had good links with the Society of St John the Evangelist. 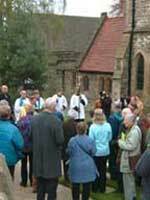 Regular updates and reports were given in the parish magazine. One of the first church schools opened in the area was St John's National Boys' School in Princes Street. It was opened on Monday April 29 1867. The headmaster was Mr Phillips and the Assistant Mistress Miss Brimsfield. Fees were 2d a week. This school expanded during the rest of the century. Many families from the area sent their children to the school. By 1876 there was a Girls' School and an infants' school on the Cowley Road (where Boots is now). The Girls' School eventually moved opposite the Boys' School in Princes Street (where Moberly Close is today). Father Benson laid the foundation stone in 1910. The parish magazine reported on the progress of these schools. Annual inspections by the Government were documented, as were those by the Diocese. Appeals were regularly made for financial assistance. The Boys' and Girls' Schools existed until the advent of the comprehensive and three tier system in Oxford in 1972. At this time the pupils were transferred to a new school in Cricket Road named Cowley St John Comprehensive. 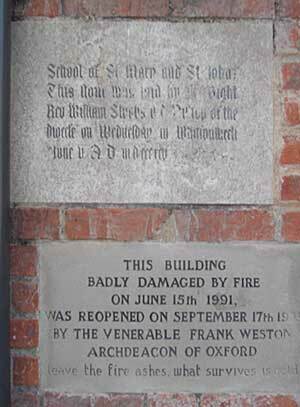 The Boys' School is now East Oxford Community Centre and the Girls' School and the Infants' School (which closed in 1936) have been demolished. In the late nineteenth century, there was a general view, particularly among church-goers, that the church schools provided a better education for children in the area. 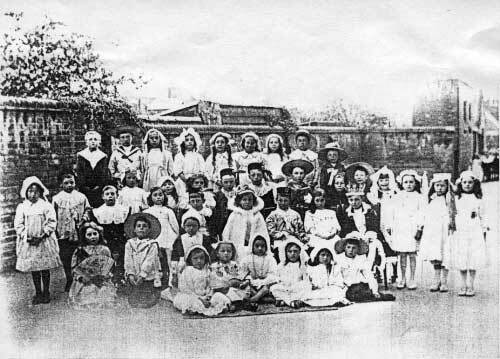 Although 'middle class schools' existed, for a while the church schools were the only ones available to most children until East Oxford British School for non-conformists opened in 1882. Within a year the school roll had increased from 52 to 278. In 1898 this school came under the auspices of the School Board. 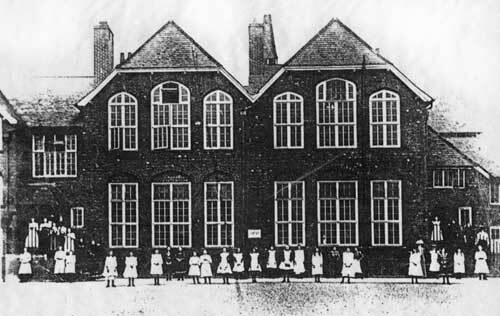 The premises were later condemned and the School Board was forced to build East Oxford School as a rate-supported school in Union Street, c1900. These premises still house East Oxford Primary School. The Society of St John the Evangelist recruited female teachers to form a religious community that would devote their time to teaching in elementary schools. In 1895, two qualified experienced teachers became novices and moved into Marston Street to start the Sisterhood of the Holy Childhood. Other sisters followed and because the Sisterhood was expanding, the houses at 9 and 10 Marston Street were purchased by the Society of St John the Evangelist in 1897. All sisterhood teachers had to be qualified as assistant teachers under S 50 of the Education Code. The sisters received maintenance costs from the schools in which they taught, which was much less than other teachers received. The money earned by the sisters was paid into a common fund. Two children were sent home this week for their school money but did not return. Several boys have learnt to hem fairly and a few can knit. Most children of 6 able to form letters, write numbers to 30 and read words of 4 and 5 letters. Drawing from simple copies. Coloured balls, coloured beads and abacus are exceedingly useful in the Babies Room in teaching number. Lower classes building with wooden bricks, drawing on slates, paper pricking and ball games form a pleasant change to the lessons. Did paper folding, object lessons. Ss Mary & John School, once known as the Robin Hood School or St Mary's Road School, was opened in October 1868 and was housed in a small building in St Mary's Road (on what would later become the St John's Home site). The Robin Hood district was roughly the area between Magdalen Road and Howard Street. Many of the side streets were not developed fully in 1868 , but gradually they increased in size and more families moved in. According to the parish magazine, Robin Hood School was 'exceedingly useful to several children who for various reasons could not go to the national school'. Initially children had to pay fees to attend the school. The log book for the early years of the school records that on occasions children were absent as their fees were not paid. Notes are also made that a Relieving Officer paid fees for some children. When the school opened, 175 local residents sat down to supper in the new room and Father Benson addressed them. 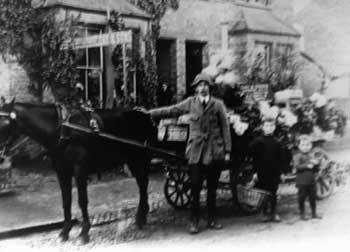 There were 62 children registered at what was initially a girls' and infants' school. The room doubled up as a church with services held there on Sundays including evening prayers at 5.15 pm. Bible classes and prayer meetings were also held on Tuesdays at 8pm. 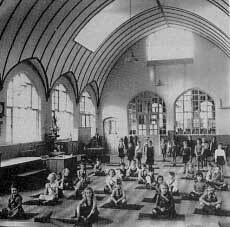 In 1868 adult girls classes were held in the schoolroom and it also opened as a reading room for men in the evenings. By February 1872 more accommodation was needed as attendance had increased to 200 children even though older children went to the boys' and girls' school on Cowley Road. There was a trained teacher, Miss Bargwenna, at the school. A government inspector's report in December 1877 reported 'This little school has again passed a satisfactory examination,' though two months previously, in October 1877, the government inspector reported that a fever was present and as a result nearly half the children were absent. A pupil teacher had been in charge for three months and the results were not so good. There are several epidemics recorded in the log books, amongst them typhoid fever, scarlet fever, diphtheria or whooping cough. The school was closed due to illness on occasion. Another health problem was 'blisters.' Inevitably some children died during these epidemics. By October 1881 the school had enlarged and doubled in its size. Mission workers were allocated to the school in 1885. A Government Inspection in October 1886 noted that the new offices were an improvement and future changes were planned. A whooping cough epidemic affected school attendance in October 1886. St Mary's Road School was handed over by SSJE to the parish in 1894. In 1893 a small boys' Junior school (23 pupils) had opened in St Alban's church under the headship of John Irving (1872-1934). This school, along with junior classes from St Mary's Road School, transferred to a new building in Hertford Street in 1896, which was extended in 1899. This building (now called the Irving Building) was restored after a serious fire in 1991. A new Infants' school, designed by Sir John Ninian Comper (1864-1960) and described by Bishop Paget as 'an infants' palace', was built on the site and opened in 1904. 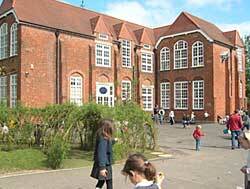 Infants from St Mary's Road School were transferred here. John Irving was headmaster from April 1895 until he retired in 1932. The school has since undergone various changes in line with national legislation and local re-organization. Today it is a Church of England Voluntary-Aided Primary school. Ninian Comper's original building now houses the 'Comper Centre', a partnership between Ss Mary & John CE Primary School and the Comper Foundation Stage School that caters for under-5s. Victoria History of the County of Oxfordshire Volume IV. Public Health in Oxfordshire: the past, (Oxfordshire Health Authority, 1998). VA Butler, Social Conditions in Oxford, (London: Sidgewick &Jackson, 1912). Malcolm Graham, On Foot in Oxford, no 12 East Oxford, (Oxfordshire County Council Libraries Service, 1987). Malcolm Graham and Laurence Waters, Cowley and East Oxford Past and Present, (Stroud: Sutton Publishing, 2002). Susanne Shatford and Trevor Williams, Changing Faces of St Clements and East Oxford Book One, (Witney:Robert Boyd Publications, 1997).